Made his debut with Cherno More Varna (Bulgaria) during the 1997-98 season. Moved to Italy for the 2000-01 season, signed by Roseto Basket. Signed few days later by Scafati Basket. Back to Bulgaria for the 2001-02 season signed by Cherno More Varna. Signed for the 2002-03 season by Academic Sofia. Moved to Spain signed for the remainder of the season, signed by Valencia CB. Back to Bulgaria for the 2006-07 season, signed by Academic Sofia. Led the 2004-05 ULEB Cup in scoring (23.9 ppg.). Won the 1997-98 and 1998-99 Bulgarian National Championship with Cherno More Varna. Won the 2002-03, 2003-04, 2004-05, 2006-07, 2007-08, 2008-09, 2009-10, 2010-11, 2011-12 and 2012-13 Bulgarian National Championship with Academic Sofia. Won the 1998, 1999 and 2000 Bulgarian National Cup with Cherno More Varna. Won the 2003, 2004, 2007, 2008, 2011 and 2012 Bulgarian National Cup with Academic Sofia. 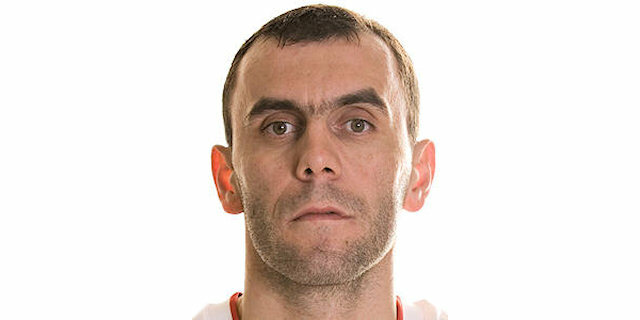 Named the 2002 Bulgarian League MVP. Played the 2004 and 2007 Bulgarian All Star Game. Won the 2007 Bulgarian 3-pts Shootout. Led the 2003-04 Bulgarian League in assists (4.4 apg. ).